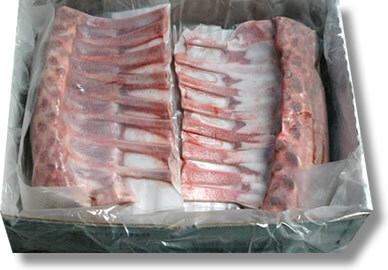 Description: Expertly trimmed and frenched rib racks. A spectacular entr�e that is as beautiful to serve as it is succulent. An exceptionally flavorful delicacy. 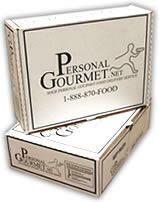 Nutritional Info: Portion Size: 3oz. Roasting: Roast for 20 to 30 min. in preheated oven at 375� (140� internal temperature for rare). 30 to 35 min. (160� internal temperature for medium) or 35 to 40 min. (180� internal temperature for well done). Saut� 2 cloves of chopped garlic in � cup of oil. When garlic is golden brown, remove from heat and add 1 tablespoon chopped parsley and enough seasoned breadcrumbs to absorb the oil and form a thick paste. When the lamb is cooked, apply the breadcrumb paste to the fat side of the rack and place under the broiler until brown.